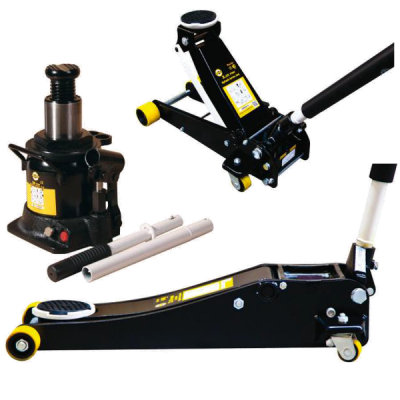 Omega is SFA's professional offshore line of lifting products and shop equipment. Products are designed with the features and rugged durability required by professionals and built in our overseas factories to keep costs down. With the added security of ANSI certification these products represent some of the best values available in the professional market. All Omega products offer a one year manufacturer’s warranty. 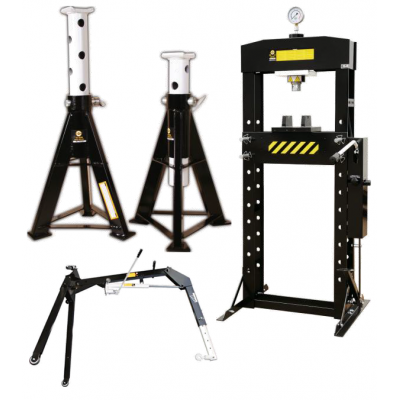 Axle Stand : Omega auxiliary stands come in ¾ ton and 2 ton capacities and are a great, safe way to offer a helping hand or a secure brace when working under a vehicle. Press : Omega shop presses are more than just a great press at a great price; they are a revenue center for your business. Now.. 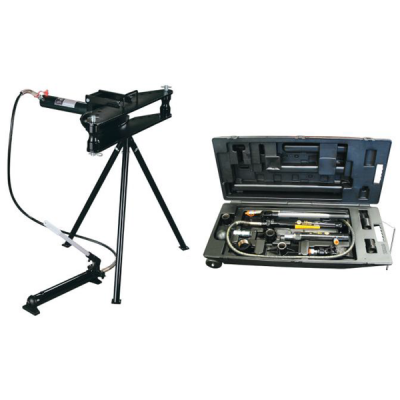 Pipe Bender : Complete with 8 former attachments for a wide variety of pipe diameters. Capable of bending high pressure/temperature tubing as well as standard hydraulic, gas, steel, aluminum and brass from 12.7mm up to 76,2mm with included attachments. Body Repair Kit : Omega 4 and 10 ton body ..